Carpenters Mate is the UK’s original self-drilling screw supplier. Our range of 250mm screws are renowned for their quality, durability and reliability. We have designed and manufactured our self-drilling screws from a carpenter’s perspective, ensuring their needs and wants are at the forefront of our pioneering and innovative design. As such, our screws have become an industry favourite that are tried and tested by the trade. With carpenters in mind, our self-drilling screws aim to increase project completion time with greater efficiency, reduced waste, increased tradesmen safety, while enhancing the longevity and durability of structural timber projects. 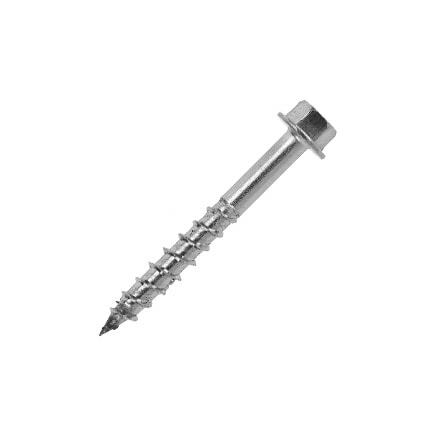 Browse our range of 250mm screws below. Flat Head Screws: Our flat head screw features a heavyweight flat head suitable for sheet materials such as insulation and roofing applications. What’s more, the flat head screw benefits from increased strength, guaranteed to stand the test of time. 316 Stainless Steel Hex Head Screw 6.3mm: Our stainless steel hex head screw has been manufactured using a higher grade of titanium for increased corrosion resistant properties, thus suitable for coastal environments. 316 Stainless Steel Hex Head Screw 9.5mm: Our stainless steel hex head 9.5mm screw is durable and tough, enhancing the longevity of timber projects. Our stainless steel screw also features a gimlet point which increases the speed of drilling. 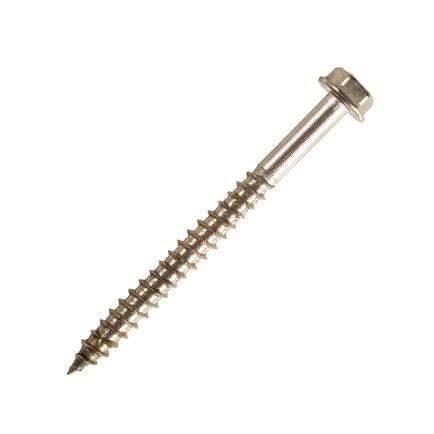 We also offer a range of screws in other sizes such as 100mm screws. How does a Carpenters Mate screw compare to the traditional M10 coach bolt? Watch our video below for a comparison! OSC Sales was founded in 1998 as the exclusive importer and distributor of US brand FastenMaster. Carpenters Mate was then founded when a niche in the market became apparent to manufacture and supply self-drilling screws for UK timber sizes. Carpenters Mate is the UK’s original self-drilling screw supplier, revolutionising the way in which carpenters complete structural projects. Our self-drilling screws are an alternative to the traditional M10 coach bolt. Our self-drilling screws can complete the job quicker with greater efficiency and less waste in a safer environment, making projects more cost effective. We distribute Carpenters Mate products through a network of over 800 distributors. We encourage carpenters and keen DIY enthusiasts alike to visit their local distributor to purchase our Carpenters Mate products. What’s more, we’re always looking for additional distributors, so if you feel your platform is a great fit, find out how to become a distributor here. All of our Carpenters Mate products come equipped with a free drive tool. This means you have the necessary tools to kick start your project from the get go. In addition to this, we also sell accessories such as gloves and adjustable post supports to help you through your project. Explore our range of accessories on our online store, or visit your nearest distributor to see what stock they have in store. Find out how many screws you need with Calcumate. At OSC Sales, we launched the CalcuMate app with an aim to help carpenters get their projects started quicker with greater efficiency. Our CalcuMate app helps carpenters distinguish how many Carpenters Mate screws they need for their project, whilst also maintaining compliance against regulations. Using an advanced algorithm, our app can accurately determine the number of screws you need for your project – saving you money on buying unnecessary screws! The app is simple to use; sign-up online, enter the requested details about your project and the calculator will get calculating! To find out more information about our crafty app, please visit the CalcuMate website, or download the app via the App Store or Google Play Store. Click here to find your local distributor, or buy online via our online store. For more information about our products and services, please get in touch via our contact form or call us on 0845 241 9862.